JUST REDUCED. OWNER WANTS THIS BOAT SOLD Since 1948 Offshore Yachts has been creating exceptionally well built yachts with attention to detail in every aspect for maximum comfort, safety and convenience. Regardless of sea conditions, Offshore Yachts provide a nice soft ride due to the low profile, and the deeply Veed forefront offers abundant living space. This beautiful Yachtfisher features a Navy Blue Hull, Two staterooms, Two Heads, Flybridge for him, Sundeck for her with bar and wicker furnished aft deck. Powered by Twin Caterpillar 3126 engines she has a multitude of NEW upgrades. NEW Items include: New Bottom Job, Newly painted non-skid decks, New Sundeck Shade, New 15hp Yamaha 4 stroke w/electric start, New forward AC Unit, New Canvas and Isinglass, New Mattresses, New dock box in cockpit, New Gauges , New 50” Flat Screen TV, A/C System Flush, New Lines, Tender w/Engine under Warranty, New Bedding, Curtains, Porthole covers and much more. Owner moving up to larger vessel, wants to find a loving new owner. 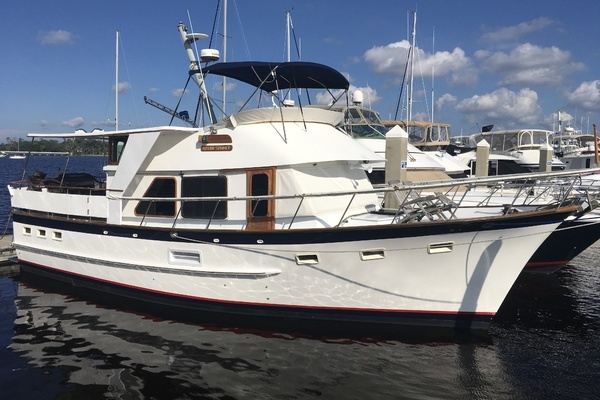 United Yacht Sales New Jersey would love to guide you through a personal showing of this 48' Offshore Yachts Yachtfisher 1997. 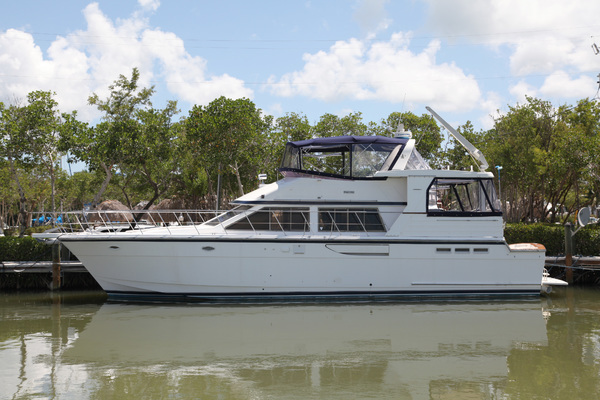 This yacht for sale is located in Southeast Florida, Florida and priced at $299,500. For a showing please contact us by filling out the form on this page and we will get back to you shortly!